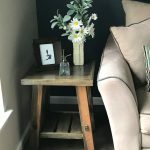 I’m so excited to share this makeover with you! 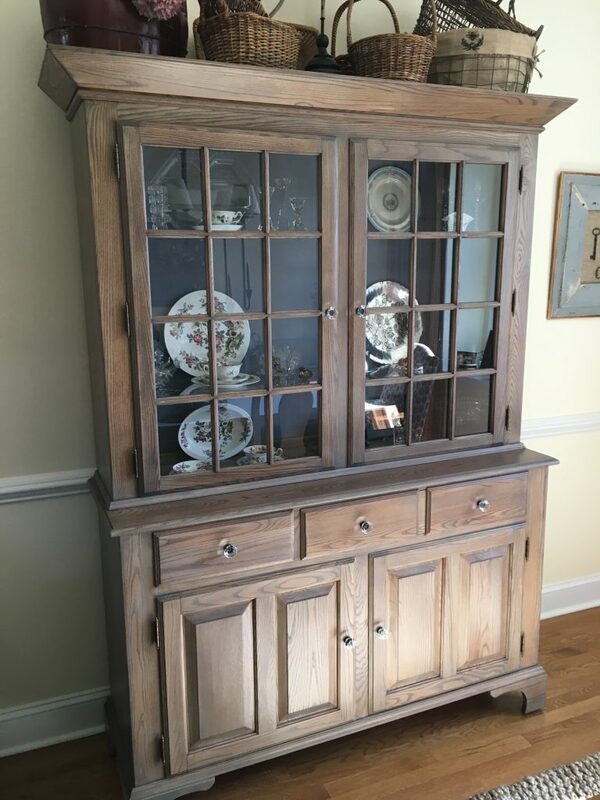 This buffet and hutch were GORGEOUS before I laid hands on it. 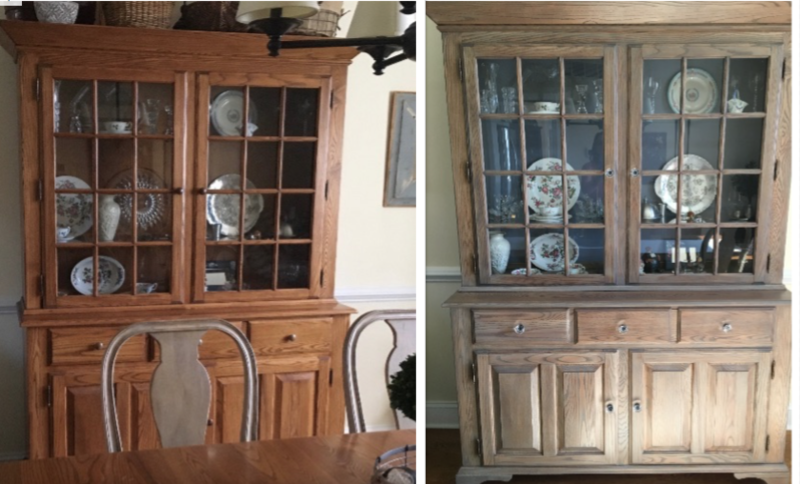 It was finished in a classic golden oak stain and was in pristine condition (can you believe she has owned it for 30 years?). The only problem was that the yellow undertones of the finish didn’t blend with the other furniture in the room the way that the client wanted. 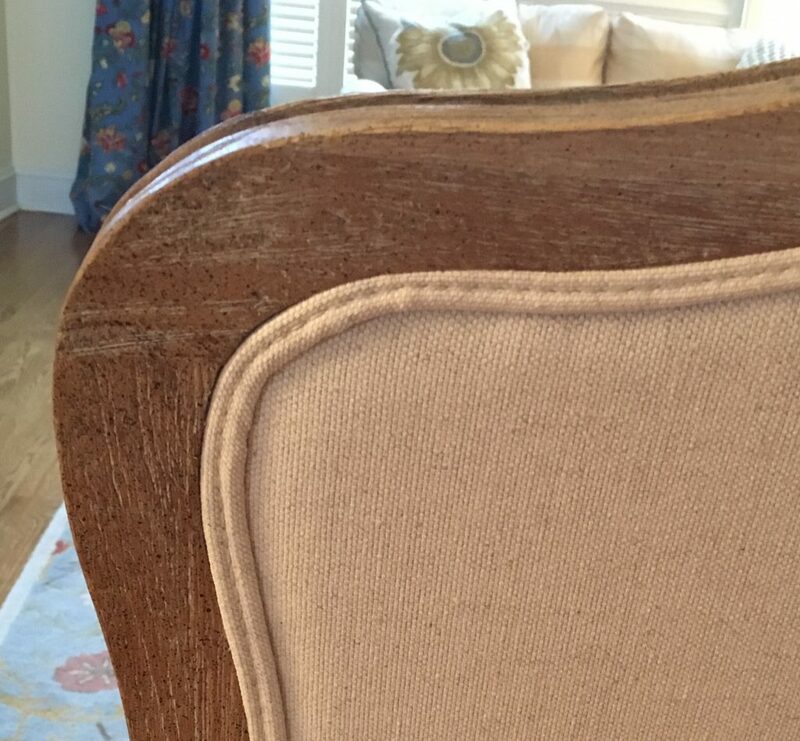 The wood on the chair below is the color she was after. 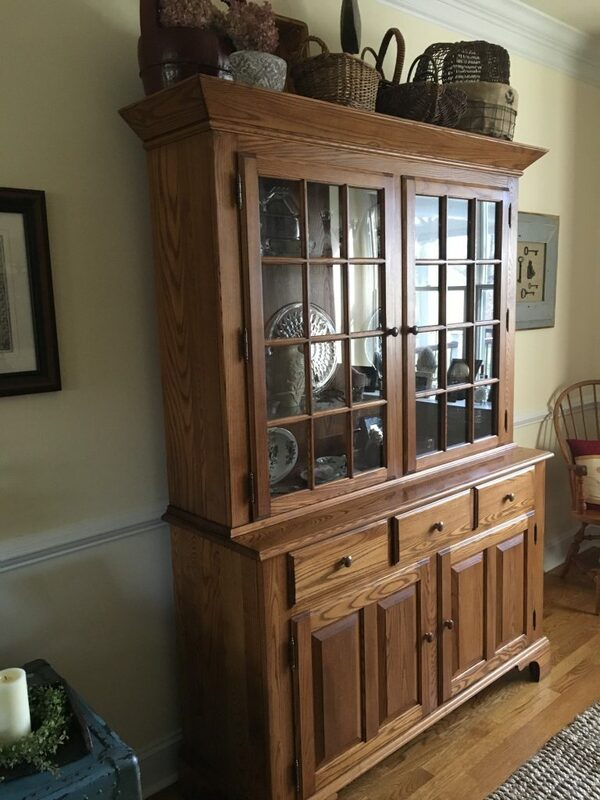 It has gray undertones and absolutely none of the golden oak hue. 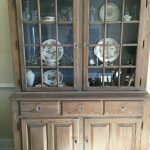 Stripping, sanding and refinishing furniture of this size is not a quick or tiny project. It is, however, TOTALLY worth it. 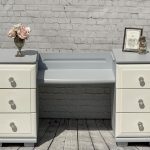 The finish I created was a mixture of stains to match her furniture, sealed with a clear, matte water based polycrylic. I painted the interior back of the hutch a beautiful blue/gray to match the picture frame to the right of the hutch. The new glass knobs add the perfect touch! It blends perfectly with her other pieces now and has a fresh new face. Here is a side by side comparison. Not all makeovers go from unattractive to beautiful. This piece illustrates beauty before and after–just in two different ways.